Smart homes can make life more convenient. Wi-Fi connected devices, like thermostats or lights, can be controlled from your smartphone, whether you’re at home or not. As technology advances, more products are including Wi-Fi features to make your life easier. Here are five products that will make your kitchen smarter. 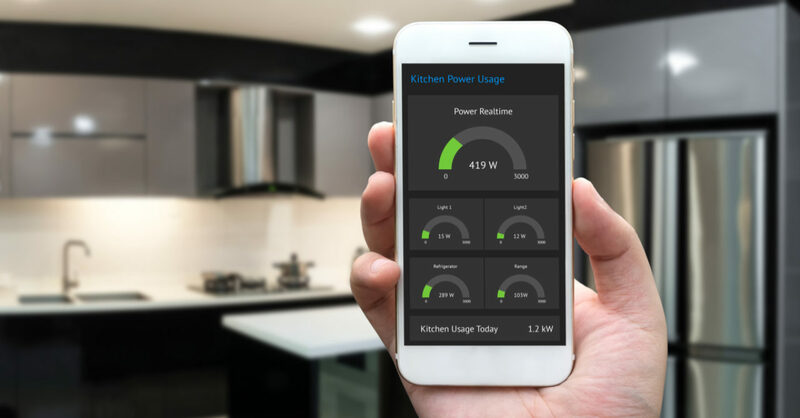 GE, Samsung, and other brands have begun selling Wi-Fi connected ovens. By installing the corresponding app, you can turn the oven on or off and control the temperature. This allows you to pick up dinner at the store and have your oven preheated and ready to go by the time you get home. Some models even come with Wi-Fi ranges as well. Smart fridges come with a variety of features. You can adjust temperatures in the fridge and freezer, turn the ice maker on or off, and even get alerts if the door is left open. Some models even come with built in cameras so you can see what you need to restock, even when you’re not at home. Slow cookers have always been an easy way to prepare meals, and Wi-Fi has made it even easier. By downloading the corresponding app, you can control the temperature from anywhere. If your plans change, or you get stuck in traffic, you don’t have to worry about ruining your meal. If you don’t like dealing with measuring cups, you should consider getting a smart cooking scale. They connect to your smartphone or tablet through Wi-Fi or Bluetooth and inform you when you’ve added the right amount of ingredients by weight. The HAPIfork was designed to help people eat better. Eating to quickly can lead to poor digestion and weight gain. The HAPIfork alerts you if you’re eating to quickly, and tracks your eating patterns. This information can be uploaded to your online account via Bluetooth or USB. Our Tech Advisors are standing by to help you with all your technology needs. We’re available any time, day or night, to offer assistance and answer any questions you have.